News: Has SimCity Been Destroyed for Good? Yesterday, Electronic Arts had a nice sale on Steam for 40-60 percent off some of their Sims titles, which included The Sims 3 (along with its DLCs) and SimCity 4. 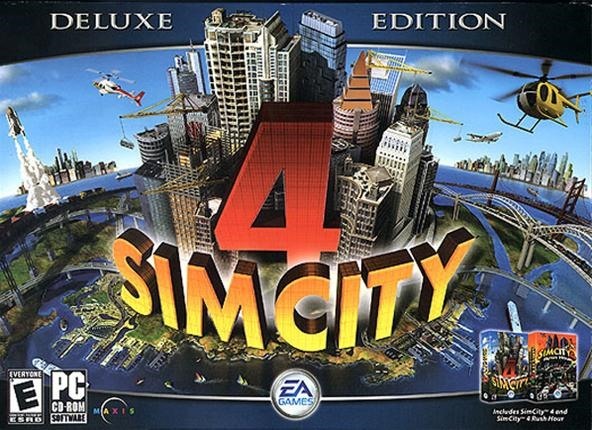 I've never been a big Sims fan, especially with the slew of virtual people games in the last decade, so I didn't realize until now that Maxis had stopped making their SimCity games; They haven't released any city building Sim games since SimCity 4 eight years ago. 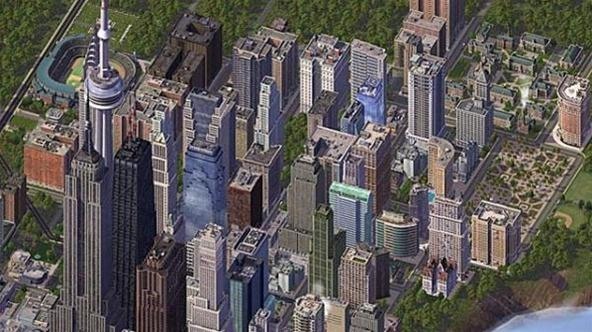 There was SimCity Societies in 2007, but it was made by a different developer and was far inferior to the Maxis line. A good era of gaming ended some years ago without my noticing. And it dawned on me that there might never be another good SimCity game, so I snatched SimCity 4 up for five bucks. The Sim series is one of the most revered in video games, with Will Wright winning every lifetime achievement award given to game designers because of it. The series was so successful that it enabled Maxis to become one of the first game developers to be publicly traded in 1995. Clearly, the series is not stranger to success, so why has it been eight years since the last SimCity iteration came out? The Sims was too successful. The first came out in 2000, the fruit of a long fight by Will Wright to get it made. It has since become the best-selling computer game of all time, with The Sims 2 in second place. In fact, it was so successful that for five years, all Will Wright seemed to do was work on the series. It wasn't until 2005 that he announced Spore, the first non-Sims game in more than five years to bear his name (SimCity 4 came out in 2003, and Will Wright was not the designer). Working on a series with 9-figure overall sales must have had its appeal. Spore is too wild. Will Wright originally wanted to call it SimEverything, which probably would have been a better title. Its development consumed Wright for at least three years, probably five or six. That was the time when SimCity 5 would have been developed, which never happened. Will Wright left Maxis. In 2009, he left the company that he helped build to start a new venture called Stupid Fun Club. Their stated goal is to create cross-media original IP, focusing on robotics (Wright once built a Robot Wars competitor). In interviews, Wright has stated that he had gone through the whole evolution of a game company with Maxis and wanted to get back to working with a small team. In the intervening two years, Stupid Fun Club have not released much information on what they're doing. Hopefully something will come out of it. To sum it all up—SimCity 5 is probably never going to happen. If it does, Will Wright will most likely not be involved, which is sad news for gamers everywhere. But there is a small consolation available: SimCity 4 itself. One of the main criticisms leveled at the game when it came out was that it was a processor hog and wouldn't run well on most computers. In fact, a few years later it was still running poorly on most PCs. That, along with its complexity, formed a barrier between SimCity 4 and many gamers, myself included. That was in 2003. But now it's 2011, and I downloaded SimCity 4: Deluxe Edition straight onto my netbook for $5 (there is a Mac version, but it's not available on Steam). It took about 15 minutes to set up, and once the game was started, I found that is ran as smooth as a Silver Shadow. That's the consolation prize for SimCity lovers: we can download the ultimate version of the game we love for cheap and run it perfectly on any computer we have. If there is never another SimCity, at least we'll have that. When I was in vo-tech long, long ago... during our down time in the electrical lab, they had computers set up for the sole purpose of playing SimCity. I looked forward to that almost more than getting shocked. Wait... that doesn't sound right. What else were you guys getting into down there? SimCity and Civilization were the only good games deemed worthy of computer lab installation for their perceived education value. They were only on about three of the computers though, so we budding nerds would have to fight teeth and glasses over them. We had like five computers set up. The class was pretty small, so we'd usually have half playing games and half messing around with electricity. We only had SimCity. I'm not sure if it was necessarily educational, but it was definitely related. We never fought like you did. But that was before any of us actually had computers—so we didn't know what we were missing! Oregon trail was educational but not nearly as fun as SC.